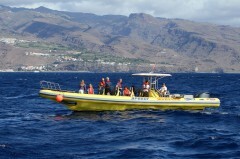 The Speedy boat tours depart always Monday to Saturday in Vueltas in the port of Valle Gran Rey. Departure time is usually in the morning at 11.00am. 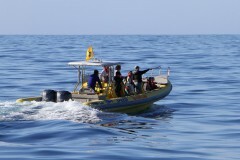 Depending on the demand we also offer tours in the afternoon. 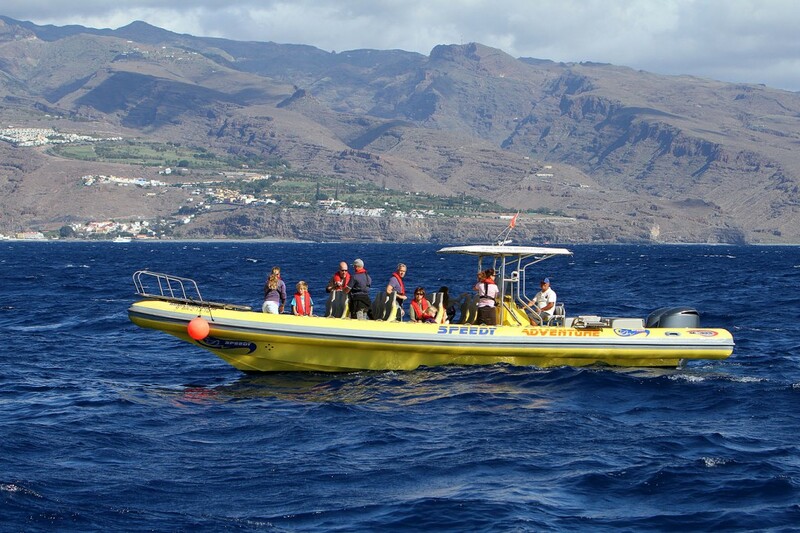 We offer different types of trips with the speed boat, therefore our guests can experience the complete beauty of the coast of La Gomera. 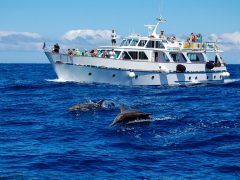 During our Whale Watching tours we head into the south of the island while our excursions to Los Organos take us to the northernmost point of La Gomera. 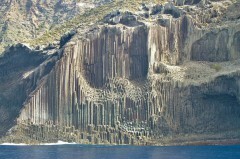 The trip around the island allows the guests onboard to take a good look at the entire coast, which is about 100 km long and very diversely formed on every side of the island. 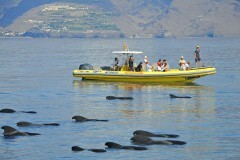 On request there is also the possibility to book special tours, for example in the evening the Sunset tour. Whilst this trip not only can our guests experience whales and dolphins, but also enjoy a wonderful sunset from the seaside. 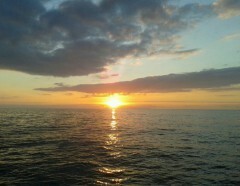 For the opposite experience there is the Sunrise tour for the early birds. 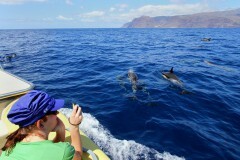 Also private trips are possible, for instance, if you would like to spend the day on a private beach. 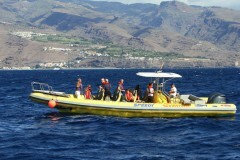 Captain José Miguel brings you with the Speedy boat to the beach in the morning and picks you up again later that day. Just ask us for possibilities.